An interesting tale of Brock Rumlow and an island of monsters which holds a young boy he seems to have as a target a mysterious government man has given him. Despite the, "Captain America," in the title, the only time the good Captain pops up is in two flashbacks. Even with that misnomer this was still pretty good. 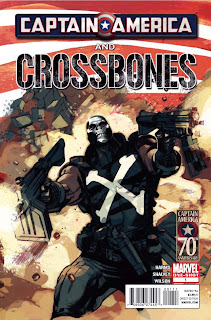 Crossbones is not a nice guy, this comic doesn't try to hide that fact and make you like him. 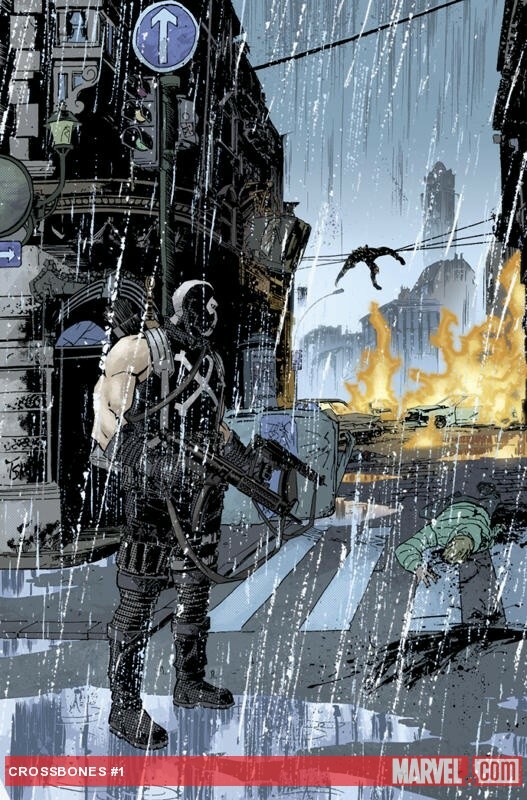 I appreciate the fact that even when he does something that he thinks is a kind gesture at the end of the comic it is still violent and cruel. 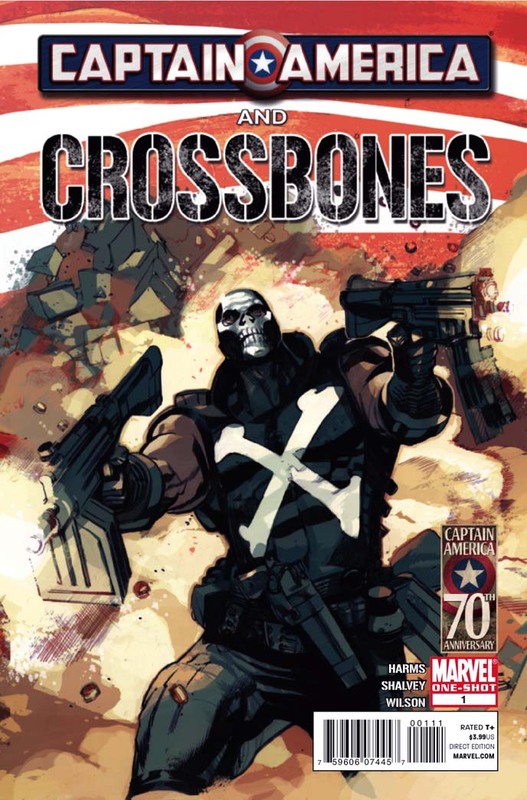 Wrtier William Harms does a good job making us interested in the story because we sure can't empathize with Crossbones, and artist Delcan Shavley has a very interesting style that is almost European when compared to the usual more Western house-style often utilized by Marvel and DC. 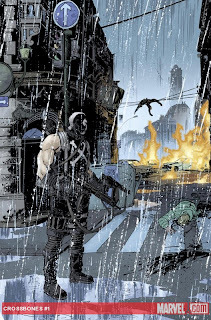 Overall this was an enjoyable comic with an interesting story and some nice art. Nothing in particular about this will probably stick with me but it was good fun and worth the $2.99 I paid. Wait...it was $3.99? Hrm, I might want to re-think this...well, if we factor in price lower my score a half-point.